Kashubians are western Slavic people living on the shores of the Baltic Sea. They descended from the Slavic Pomeranion tribes, who had settled between the Oder and Vistula Rivers after the migration period. While most Slavic Pomeanians were assimilated during the Medieval German settlement of Pomerania and some kept and developed their customs and became known as Kashubians. The oldest known mention of “Kashubia” dates from 19 March 1238. ope Gregor IX wrote about Bogislaw, dux Cassubic, the Duke of Kashubia. Dyngus: According to the old tradition, on Easter Monday Kashubian boys chase girls whipping gently their legs with juniper twigs. This is to bring good fortune in love to the chased girls. Beheading the Kite: Midsummer eve custom of ritually beheadin a kite, a bird which in the Kashubian region used to symbolize devil. Snuff taking: Taking smokeless tobacco that is “snuffed” into the nasal cavity. 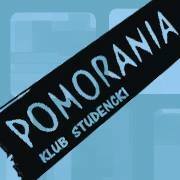 Pomorania has 32 members and is a student organization. They are promoting regional affairs of Kashubia and Pomerania and the Kashubian language.